After hereditary chiefs voice surprise support for controversial oil sands pipeline, some members of First Nations community say they weren't polled -- and don't want it. Graphic courtesy of Enbridge website. It's looking like Friday's surprise announcement by hereditary chiefs of the Gitxsan nation, claiming support of the controversial Northern Gateway pipeline, came as a surprise to many of the Gitxsan themselves. A group of them have struck back, publicly criticizing the chiefs and instead claiming solidarity with the dozens of First Nations groups who have vowed to oppose the pipeline, which would move crude oil from Alberta's oil sands across B.C. to Kitimat for export. VANCOUVER -- Members of a British Columbia First Nation where hereditary chiefs have voiced support for the Northern Gateway pipeline appear split over the controversial project. On Friday, a group of hereditary chiefs from the Gitxsan in northwestern B.C. announced it had accepted Enbridge Inc.'s offer of an equity stake in the $5.5-billion project. In announcing the agreement, Chief Elmer Derrick heralded his community's "trusted'' relationship with Enbridge, and he estimated the deal would be worth at least $7 million for the Gitxsan. 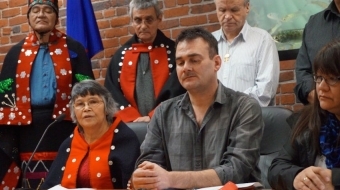 But shortly after the announcement, a group claiming to represent other hereditary chiefs, including Geri McDougall, and four Gitxsan bands issued a news release denouncing the agreement. The news release came from the plaintiffs in a lawsuit against the Gitxsan Treaty Society and the B.C. Treaty Commission over complaints about ongoing treaty negotiations with the federal and provincial governments. The release said members of the Gitxsan nation weren't consulted about the Northern Gateway agreement, and argued it was wrong to sign a deal before the environmental impact assessment process is finished. "Elmer Derrick and the Gitxsan Treaty Society/Gitxsan Economic Development Corp. does not speak for all Gitxsan,'' the news release said. The 33,000-square-kilometre Gitxsan territory sits north of Northern Gateway's proposed route, but the line would cross six streams that feed into a lake the First Nation relies on for fishing. 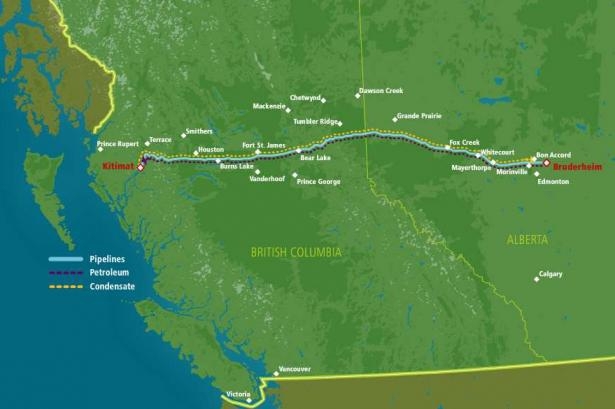 The 1,200-kilometre Northern Gateway pipeline proposal, which would bring diluted bitumen from Alberta's oil sands to the B.C. 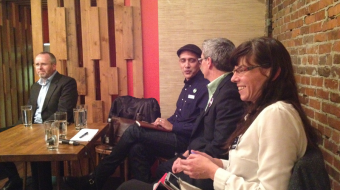 coast, has been the source of considerable controversy among First Nations communities and environmental groups. 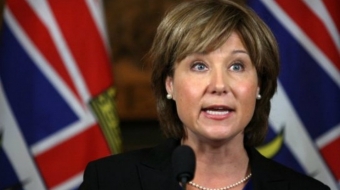 Enbridge has offered equity stake agreements to 50 First Nations groups, although the Gitxsan was the first the sign. The company claims a number of other communities are prepared to sign, but hasn't said which ones or when that would happen. Other aboriginal communities have been fiercely critical of the pipeline, vowing to take legal action to stop it. Currently, 61 First Nations communities have signed the Save the Fraser Declaration against the pipeline. A federal review panel is preparing to hold public hearings into the pipeline project early in the new year. 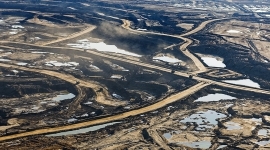 The provincial and federal governments have both been strong proponents of the project, particularly as political controversy in the United States delays TransCanada Corp.'s Keystone XL line. The U.S. State Department has effectively delayed the Keystone XL until early 2013 -- after the next presidential election -- by ordering TransCanada to come up with a new route through Nebraska to avoid an important source of water.